It's good to be back blogging and I'm pleased to present this new painting. 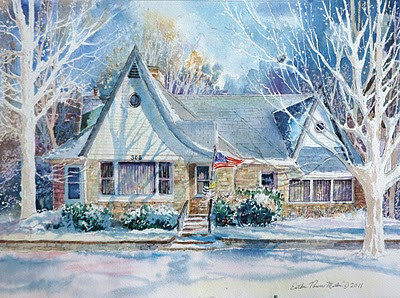 It's my watercolor of the wonderful view from our front door looking east across the street, and I was enthralled by this winter scene. Worked on it cautiously - putting it aside frequently to "think hard" about the next brush stroke. 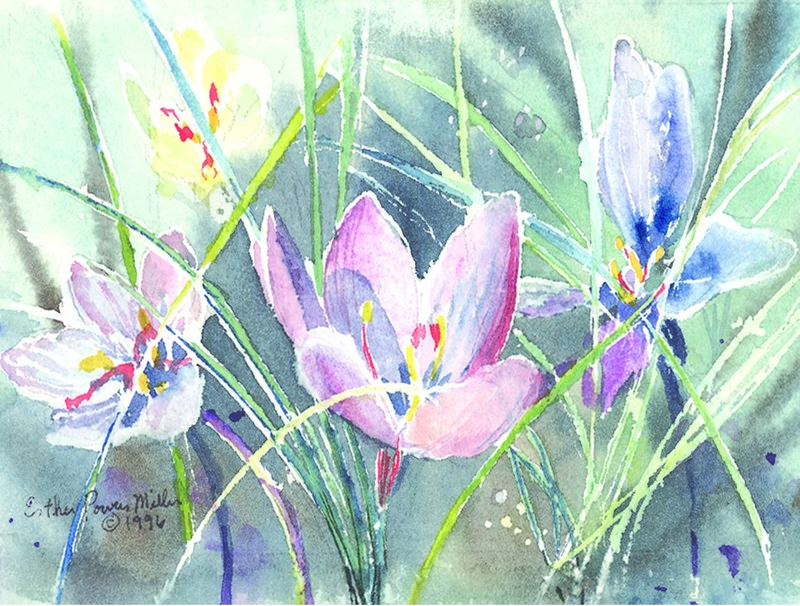 Watercolors are not as forgiving as most other mediums - so, enough said- I hope you enjoy it. 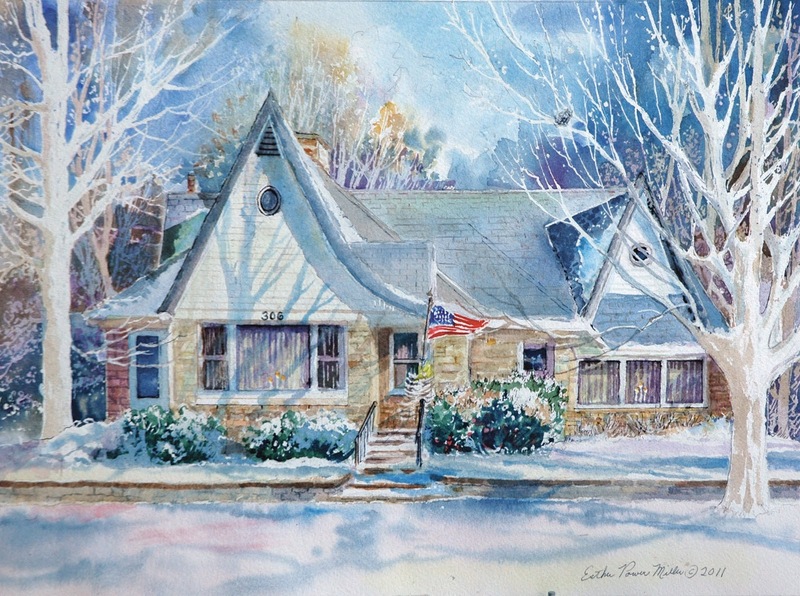 Kay, the owner, is purchasing this original and we will be making some prints for her family, and I will enjoy mailing cards with this image. Have been feeling below par (lingering shingles symptoms) but better now and "rarin" to go. We've had our kitchen cabinets painted inside and out and only some of the contents are in place. Soon we won't have any good excuse for eating out. Most of our snow is melted, but a few packed piles linger in shaded areas. And our Lake Maxinkuckee is still covered with thin ice. Here's the image from one of my most successful spring flower paintings. - "Crocus, the Butterfly Flower" thus named because my quirky artist brain saw the petals of these flowers resembling the wings of tiny butterflies, and it's fun to think about both of them together. All for now - I'm alternating between studio time and organizing cabinets time, and always happy to pause to answer the buzzer when any of you enter our gallery door. I'll be back soon to share paintings and news of our artistic journey.